Posts about traveling in Japan. These posts cover all the various things you could possibly do during a trip to Japan. For the most part, you could probably survive in Japan without actually knowing any Japanese. Most of the signs have English translations, and many of the train stations have announcements in English as well as Japanese. However, I think that your trip overall is a lot less stressful if you know at least some basics in Japanese. 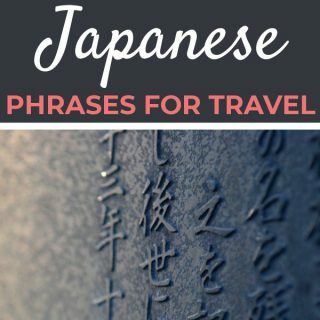 Check out my list of recommended survival Japanese phrases for travel in Japan! In my opinion, 21 days in Japan is the perfect amount of time to spend in Japan. 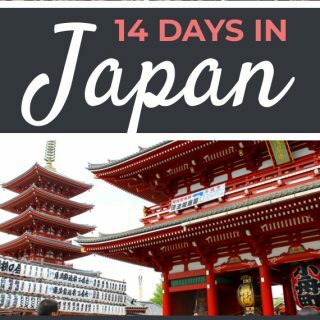 Sure with 14 days you could see all the highlights, but with 21 days you can really delve into the cities, as well as visit some of the more “off the beaten path” destinations, away from much of the tourists. 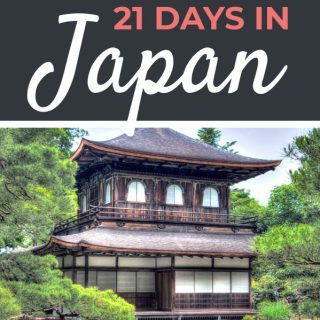 Check out this ultimate 21 day Japan itinerary to see how to best spend your time! Sometimes we don’t always have the ability to travel for such an extended period of time. Sometimes, 1 week is all we get, because, I mean, you still have a full-time job or school, family, etc. Even if you only have a week, go anyway! 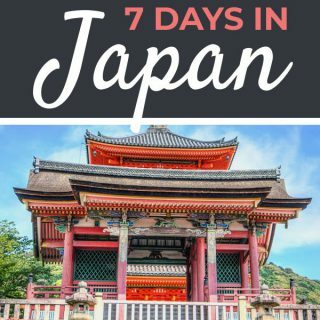 Check out this 7 day Japan itinerary for all the best things to do in Japan with a limited amount of time! Not only is Okayama the capital of Okayama Prefrecture, but it’s one of those “hidden gem” cities. It’s not nearly as crowded with tourists as say Tokyo or Kyoto, but definitely has its claim to fame with iconic landmarks such as “Crow Castle” and one of the three great gardens in Japan. 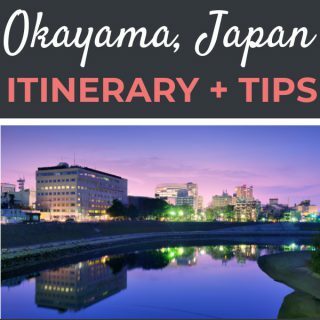 Check out this Okayama Itinerary for all the fun things to do, where to stay, and how to get there! There are a lot of places that make for great side trips from Tokyo, but few are quite as full of history as Kamakura, the former capital of Medieval Japan. 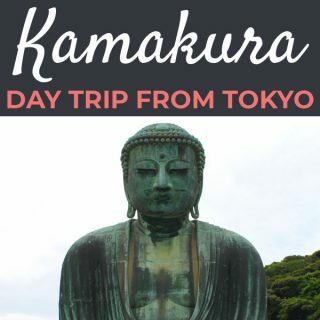 If you’ve got some time in your itinerary, I highly suggest making a day trip to Kamakura from Tokyo. At the base of Mt. Fuji is the Fuji Five Lakes, named such for the five lakes in the area surrounding Mt. Fuji. The most famous and easily accessible of the lakes is Lake Kawaguchiko. The many things to do there plus the great views of Mt. Fuji makes it a great day trip from Tokyo. 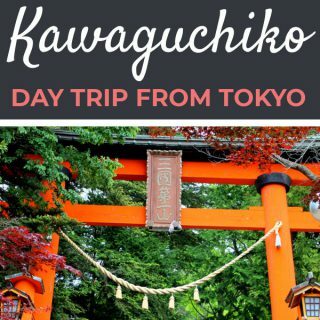 Check out this comprehensive Lake Kawaguchiko day trip itinerary for all the great things to do there! One of the best things about the Kansai region in Japan is how much there is to do and see in such close proximity. Nara, a smaller but popular city, makes for a fantastic day trip from either Kyoto or Osaka. 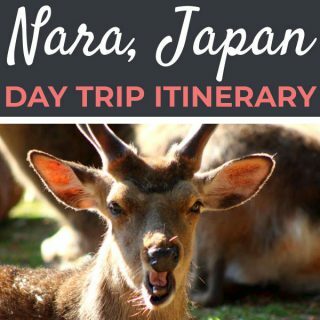 Check out this Nara Day Trip Itinerary to find all the best things to do and how to get there! Conveniently located between Tokyo and the Kyoto/Osaka area, Nagoya makes for a perfect stopover destination. Not only is it the capital of the Aichi prefecture, but its also the 4th largest city in Japan. 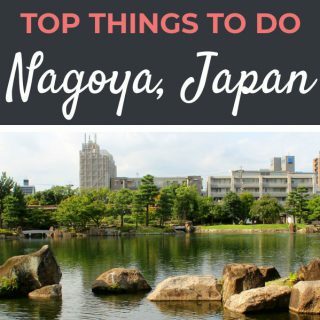 If you’re looking for things to do or how to get there, check out this Nagoya Itinerary! For those who love Japanese tradition and history, no trip to Japan would be complete without a stop in Himeji, the home of one of Japan’s most famous castles. Himeji Castle, also nicknamed the White Heron castle due to its color and shape, has not only been designated as a national treasure but is also a UNESCO World Heritage Site. Due to Himeji’s convenient location along the Sanyo Shinkansen (bullet train), it makes for a fantastic day trip from Osaka or Kyoto. 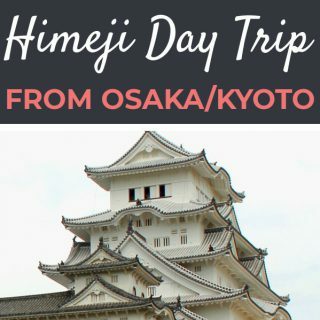 Find out what it’s like to spend a day in Himeji and how to get there! Hiroshima is one of those places that tends to get left off many Japan itineraries, especially if it’s a person’s first time to Japan. However, I personally made a point to visit Hiroshima, even if it was only for a day or two. It may not have some of the great shrines or culturally unique activities like Kyoto or Tokyo, but its rich in history. 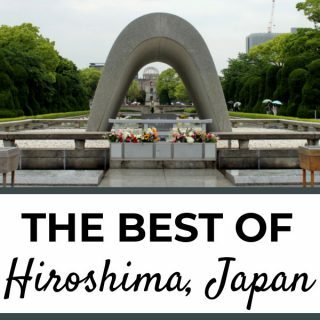 Find things to do, where to stay, how to get around, and more with this 1 – 2 day Hiroshima itinerary! Out of all the places in Japan, Kyoto was the place I wanted to visit most during my time in Japan. I love traditional Japanese culture and am obsessed with shrines and temples, so naturally Kyoto would be the place for me. 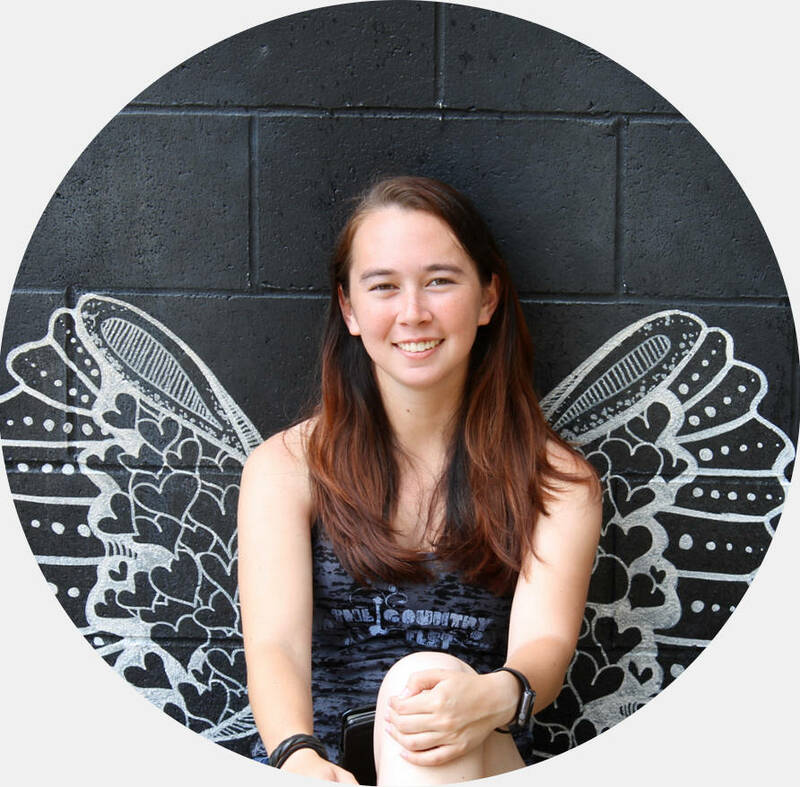 During the four months I spent in Japan, I ended up visiting Kyoto on a couple of different occasions (one of which happened to be during Golden Week – a string of holidays in Japan and also a very popular travel time). 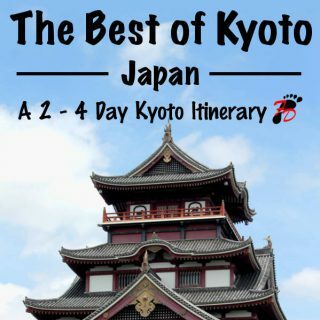 For your convenience, I’ve condensed my adventures down to one, easy-to-follow 4 day Kyoto itinerary!